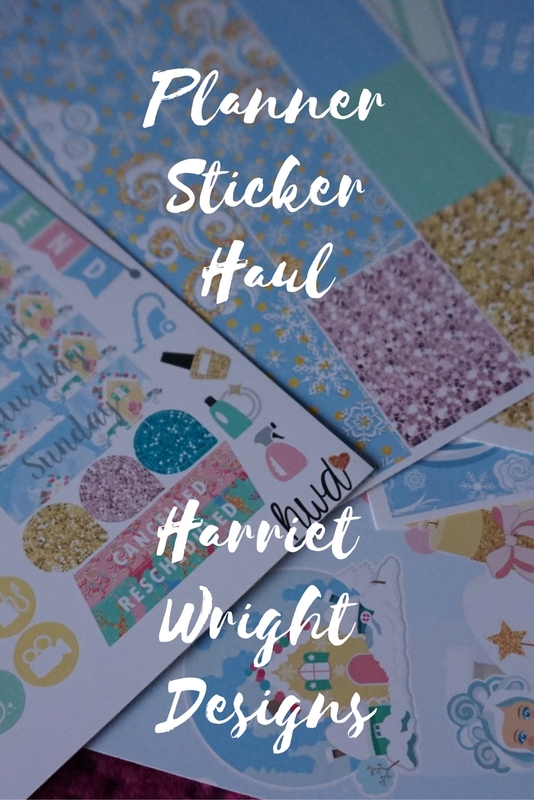 I'm letting you into a little sneak preview of a Etsy planner kit from Harriet Wright Designs which I've bought to make a Collab Video on my YouTube channel with Beth from Tinkabell Beth. 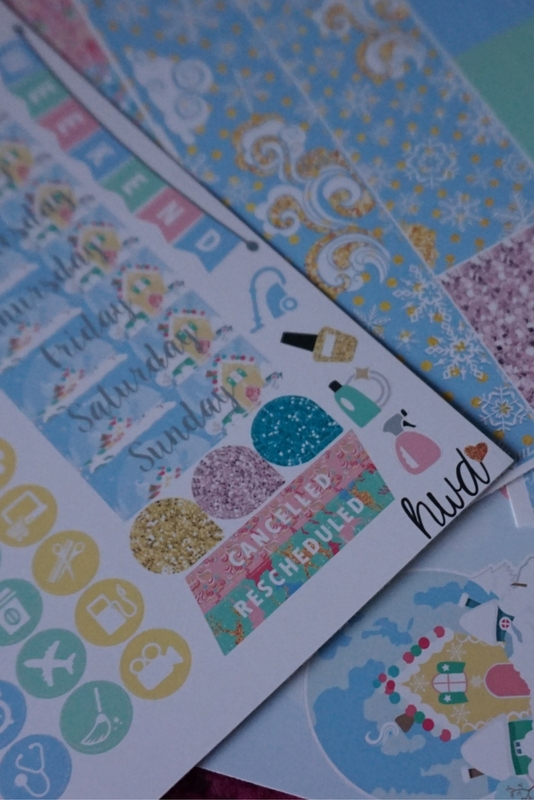 I've know Beth for a few years and we both love a lot of the same things including planning and stickers. We've chosen to use the Whimsical Snow Globe Kit which which is for the Erin Condron Vertical planner. This isn't the planner I have but as my planner is not a standard size i'm sure I can make this kit work for me. 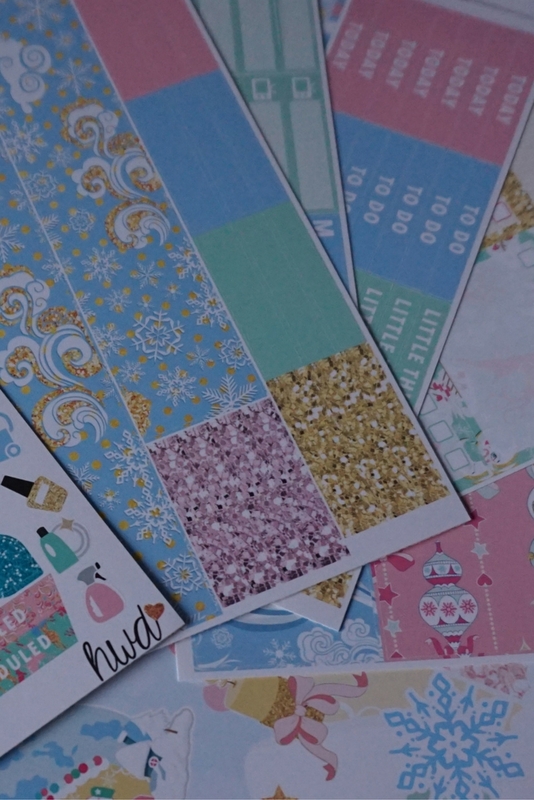 There is a really good mix of sheets, including, full boxes, washi strips, check boxes, day labels, functional stickers and deco stickers. I'm excited to get started with this kit and as I rarely use a full kit i'm excite to have left over stickers which will work for all year (well a lot of them) as we've picked a pastel kit rather than a more traditional red / green winter kit.